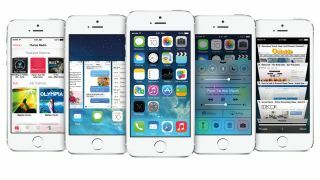 A team of hackers, notorious for their ability to smash through Apple's walled garden has released a simple jailbreak for iOS 7. The tool, which arrives three months after Apple launched its revamped mobile software, comes from the Evasi0n team and works on devices running iOS 7.0 to 7.0.4. The jailbreak, which allows iPhone, iPad and iPod touch users to access unauthorised apps and services through third-party apps stores like Cydia, can be achieved in five minutes. 9to5Mac reports that users will need to connect their iOS device to a Mac or PC using a USB cable and follow the instructions at Evasi0n.com. However, as always iOS device owners will be performing the jailbreak at their own risk. Firstly, it invalidates the warranty and can make the device unstable. The creator of the Cydia app store tweeted to say the build of the store included within the jailbreak isn't official, as he wasn't made aware of the jailbreak being released. Jay Freeman tweeted: "I thereby have no clue what will or will not work, or even what evasi0n7 includes; I hope that people bear with me as I figure this all out." Meanwhile, iOS 7.1 looks like it'll get iOS in the Car integration.